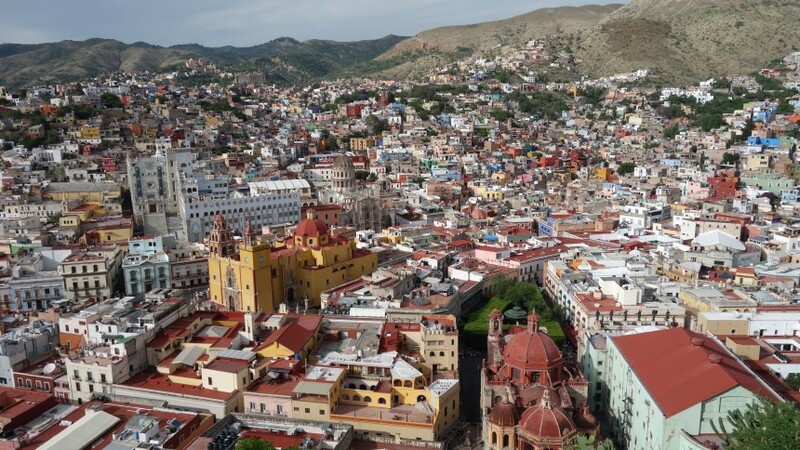 Anyway, even with this advanced knowledge, I have to say the Silver Town of Guanajuato, let me know that the Mexican’s are actually really really weird about death. And as an added bonus the town (founded back in the 1540’s (!) 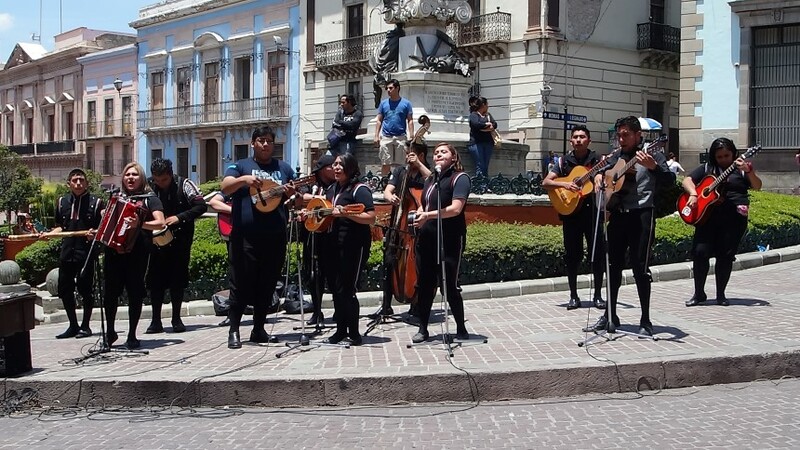 will thrill you with amazing colonial architecture and random live bands. Random band. To be fair I have no idea if there are always random bands, but there were lots when I was there. It’s a dry arid place. Which apparently has some interesting effects on the bodies of the interred. This is something I know because it seems way back in the 19th Century, the town had a cholera epidemic. Which caused a bit of a squeeze for cometary space, so the local government decided to ask families to pay a small fee to continue to inter their recently departed members. If you didn’t pay up, you got dug up, and then dumped in the morgue whilst they worked out what to do with you. 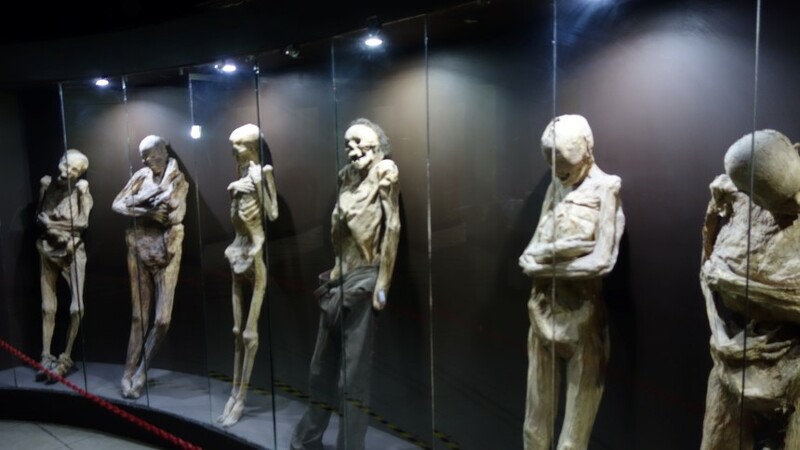 It seems that at this point, the local morgue workers rather enterprisingly thought they could make a bit on the side by showing off some of the well preserved bodies in exchange for a few pesos. 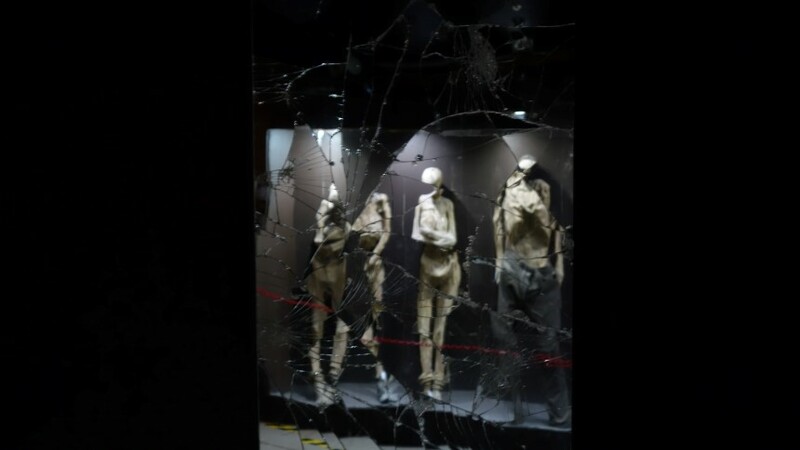 The idea took off, the bodies then found themselves collected into a museum. Los Momias. And here they have stayed despite laws long ago stopping any further internments. Does taking the photo via a cracked mirror make it more justifiable? It is a disturbing museum. 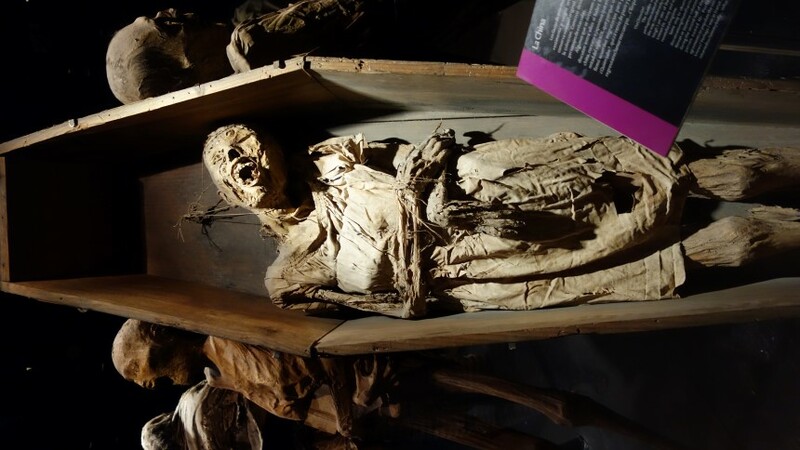 Hell, any museum which boast of having the worlds smallest preserved mummy (a fetus from a dead pregnant woman) is going to be Disturbing with a capital D. Another traveller I met who had visited the site said he felt taking photos was inappropriate. I sort of emphasised with him, seeing people having their photos taking in front of them certainly didn’t seem to sit well with the idea of the dignity of the dead and all that, but then like I said, the Mexicans deal with death very differently. Besides if I didn’t take any photos this would be a very boring blog. Yeh, not sure I want to look like this. Just burn me. The faces of some of the mummy’s (well ok pretty much all of them) are contorted into horrible expressions. 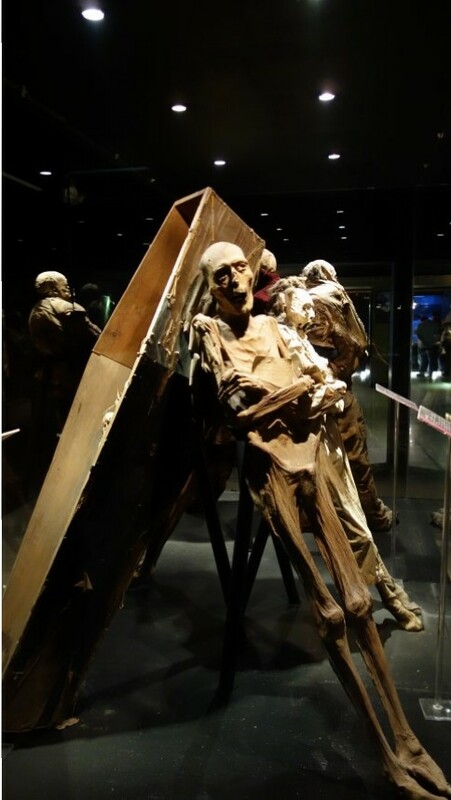 This is apparently the result of the way the body has decomposed as opposed to any more horrific reasons, but it is enough to make me think very fondly of the idea of cremation when the time comes…. And there are disturbing stories too. One body was found face down biting into its arm, on which blood was present, which leads to the conclusion that she was suffering from a rare condition that merely made her look as if she was dead. Only actually dying after having been placed into a coffin and put six feet under. Again, when the time comes, could someone poke me with a sharp stick a few times just to make sure? 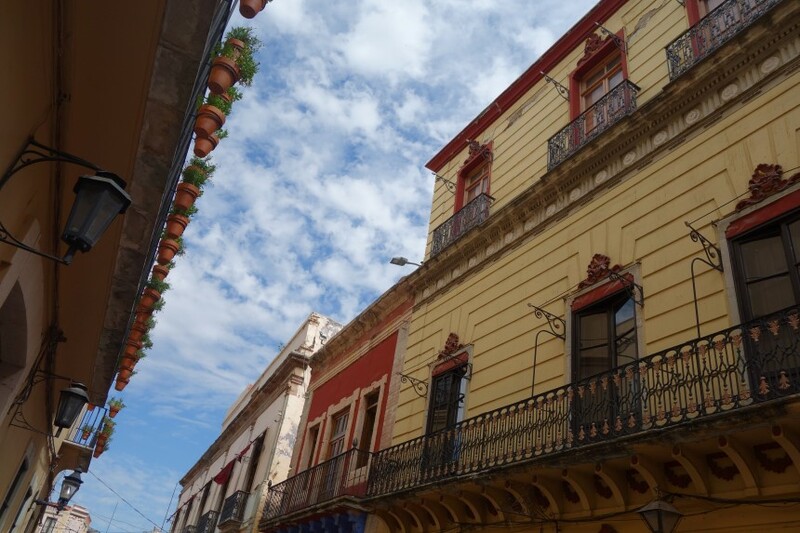 Anyway, creepy though the museum is, the town of Guanajuato and the much less touristy (and much more cheap), but equally awesome town of Zacatecas, are both highly recommended. The architecture here is some of the best in Mexico. Go visit them, just try not to die there….